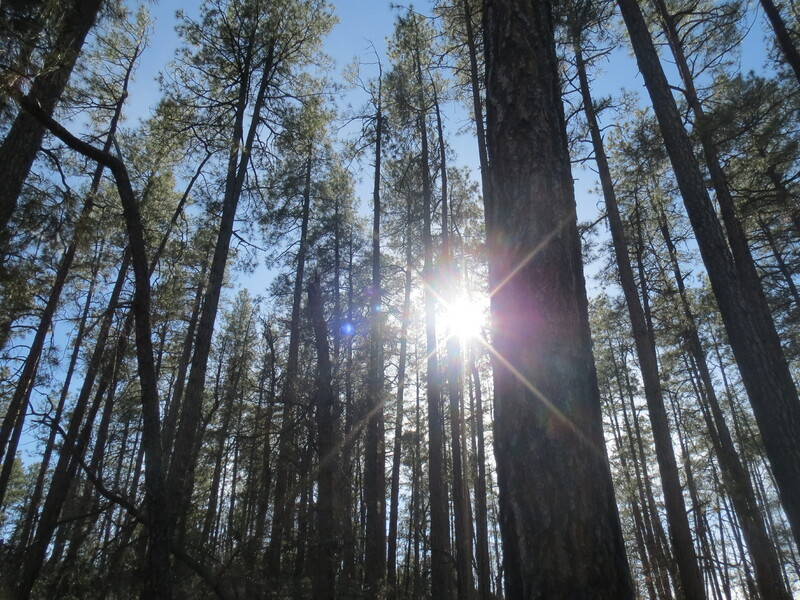 The Goldwater Lake trail #396 is a forested trail shaded by dense stands of ponderosa pine that occasionally give way to alligator juniper and chaparral-type vegetation. The trail has amazing views of Goldwater Lakes and the Bradshaw and Sierra Prieta ranges. Trail #396 climbs hills and ridges through a series of switchbacks over valleys green with Gambel oak. Most of the trail is fairly smooth soft forest soil, but parts of the trail are more technical with boulders and beautiful white granite. The trail starts with a stead accent before reaching the top of the first ridge then drops down into Bannon Creek. Most of the trail is shaded by the dense ponderosa which provides great relief on hotter days.